For many women, the OB/GYN serves as your primary care provider, helping you stay on top of your health with your annual exam. 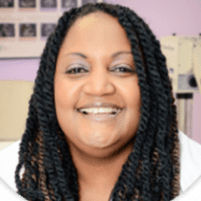 Angela Hudson, MD, at Women’s Healthcare Center of Georgia in Powder Springs, Georgia, is a women’s health expert who has helped thousands of women manage their health in her more than 20 years of practice. If you’re looking for an OB/GYN to partner with you as you go through your many life changes, call the office or schedule your annual exam using the online booking button. What can I expect during an annual gynecological exam? Depending on your age, Dr. Hudson may also recommend a Pap smear or a mammogram. Testing for sexually transmitted diseases (STDs) may also be recommended. During your annual exam, Dr. Hudson encourages you to ask questions and share your health concerns so she can make the best recommendations. A Pap smear is a test conducted during your pelvic exam that checks for cervical cancer. Catching changes in cervical cells early may improve your outcome. Women usually begin getting Pap smears at age 21. Dr. Hudson determines how often you need to get tested based on your age, results of previous Pap tests, and your health history. Most women only need to get a Pap smear every three years between ages 21-65. A mammogram is a special X-ray that screens women for breast cancer. The X-ray can identify changes in breast tissue that you may not be able to find during a self-breast exam. Most women begin mammogram testing in their 40s. Dr. Hudson determines when you should start getting tested and how often based on your personal health history and breast cancer risk. Finding changes in breast tissue early improves the effectiveness of treatment and your expected outcome. If you’re sexually active, Dr. Hudson may also recommend STD testing during your annual exam. Millions of people contract STDs every year, and getting tested and treated for an STD may help prevent health issues. STDs are especially concerning for women because they can lead to infertility. Dr. Hudson determines which STDs to test for based on your symptoms, if you have any, and your sexual history. If you’re sexually active, you may need to be tested for chlamydia and gonorrhea annually. For expert OB/GYN care from a physician focused on you and your health, call Women’s Healthcare Center of Georgia to schedule your annual exam. Or book your appointment using the online booking button.